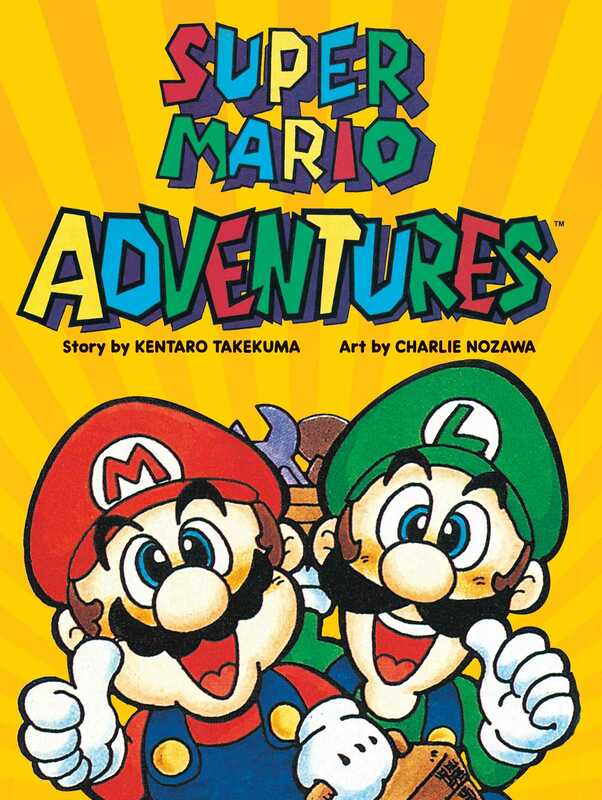 Super Mario Adventures, inspired by the bestselling Super Mario video game franchise, is a collection of comics that originally ran in Nintendo Power magazine in 1992-93. The peril-plagued Princess Toadstool is kidnapped by the diabolical deadbeat Bowser but super plumbers Mario and Luigi hatch a plan with their new friend Yoshi to rescue her. Are the Super Mario Bros’ plans a pipe dream? Can they stop the Koopa King before he forces the Princess to be his bride?! Long out of print, this stunning, full-color graphic novel is now available once again!